Come shop at Cookie’s the Kids Department Store at 510 Fulton Street in the Fulton Mall this Friday during the Fulton Street Twilight Shopping Event and take advantage of our extended store hours! 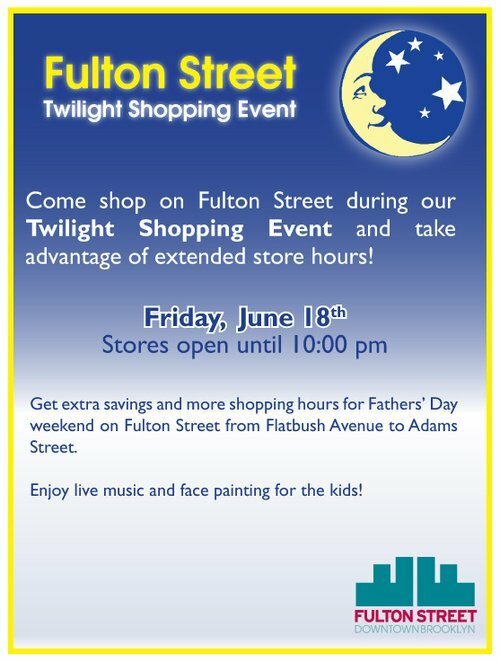 This Friday, June 18th, Cookie’s Kids and other participating Fulton Street stores will be open until 10 PM. Get more shopping hours and extra savings for Fathers’ Day weekend while enjoying live music and face painting for the kids!